Halloween is in the air and with it comes Halloween events for the entire family. Whether you’re looking for a great scare, or something not-so-scary for the younger ones in your family, we’ve pulled together a list of 20 can’t-miss Halloween happenings throughout the Boston area this month. Keep checking back as we add more events to this list. And for more great events, bookmark and keep checking our NBC Boston calendar for all the latest events happening every day of the week! 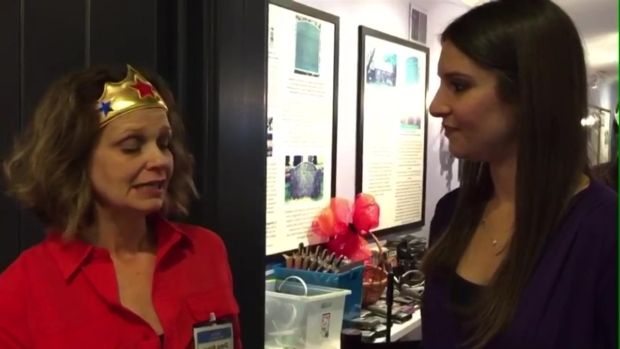 necn.com's Caitlin Fichtel interviews Salem Witch Museum's Stacy Tilney about the history of witches and the museum's attractions. Salem is famous for its witches, and at the “Be Witched” Haunted Dinner Theater, one of it’s most famous witches, Samantha Stevenson, comes to town to host a party for her husband’s co-workers and you’re invited! At this all-ages event, audience members play minor roles and help discover the mystery surrounding the mayhem at the party. Performances are at the Hawthorne Hotel (18 Washington Square W, Salem) or Finz Seafood (76 Wharf St.). Tickets are $59.95 for adults, $39.95 for children. Stir up some magic for a night of wizarding wonders at HP Salem’s Equinox Halloween Ball on Friday, Oct. 20. Come in your finest Harry Potter-inspired costumes and you could walk away a winner for top wizarding looks and best overall non HP costume. Admission includes light snacks and cash bar. Tickets are $40. 7-10 p.m. Knights of Columbus, 94 Washington Square, Salem. It wouldn’t be Halloween without screenings of “The Rocky Horror Picture Show.” The popular cult classic features a live shadow cast by the Teseracte Players of Boston. Tickets are $10. Saturday, Oct. 21, 11:59 p.m., CinemaSalem, 1 E India Square Mall, Salem. A Visit to Halloween's Epicenter in Salem, Mass. 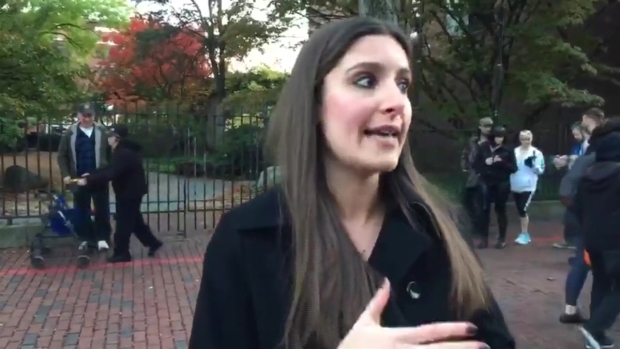 necn.com's Caitlin Fichtel takes you on a stroll through Salem, Mass. for a look at the ornate costumes and lively characters. Bring the little ones to Salem’s annual Trick or Treat on the Wharf event Sunday, Oct. 22 from 5-7 p.m. Enjoy treats from merchants along Pickering Wharf. Six Flags Fright Fest returns as zombies and ghouls take over the theme park and it all starts after the sun goes down. Get your scare on at a wide variety of locations throughout the park including several haunted houses and scare zones. Tickets start at $47. Friday nights, Saturdays and Sundays through the end of the month. Rte. 159, 1623 Main St., Agawam. Washington Irving’s iconic 1820’s tale “The Legend of Sleepy Hollow” comes to life at Old Sturbridge Village in an immersive, outdoor theatrical experience this month. Be guided through Sturbridge Village’s countryside where you’ll encounter Ichabod Crane, Katrina Van Tassel, Brom Bones and maybe even the Headless Horseman. Performances are rain or shine. Tickets are $60 per person and $50 for Village members. Select dates in October. 1 Old Sturbridge Village Road, Sturbridge. Head up over the border to New Hampshire this month and check out Canobie Lake Park’s annual SCREEEMFEST for Halloween themed live shows, games and rides. Tickets start at $34. Friday nights, Saturdays and Sundays through Oct. 29. 85 N Policy St., Salem, New Hampshire. Looking for something a little less spooky for the family? Check out Edaville Family Theme Park’s first-annual “Not So Spooky Halloween.” Wear your favorite costumes and trick-or-treat at every ride including Thomas Land and Dino Land. Tickets start at $34. Fridays, Saturdays and Sundays through the end of the month. 5 Pine St., Carver. Witch’s Woods boasts seven haunted attractions at its haunted hayride and Halloween screampark sure to give you a fright. Thursday through Sunday nights in October and Halloween night. Tickets are $37. 6:30-10:30 p.m., 79 Powers Road, Westford. 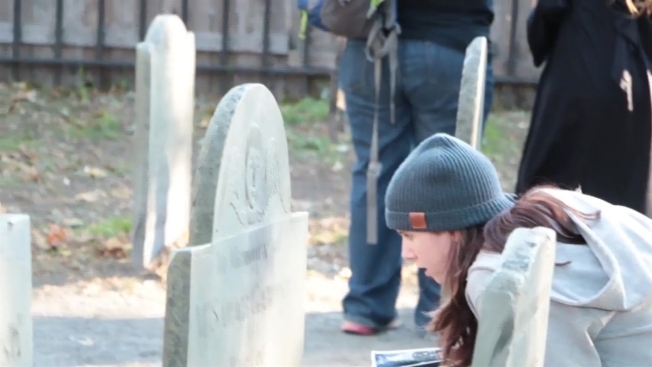 This 90-minute walking tour takes you through the historic and haunted streets of Boston by lantern light where you’ll hear all the tales of Boston’s most famous ghosts who are rumored to haunt the city. Oct. 17-31. Tickets are $18 for adults, $15 for seniors over 62 and $13 for children under $16. Venture onto the twisted trails of terror for a night in New Hampshire you won’t forget as Spooky World presents: Nightmare New England. Enjoy five separate haunted attractions, along with the Monster Midway, zombie paintball, go-karts, mini golf, batting cages, tarot card readers and more. Thursdays, Fridays, Saturdays and Sundays through Oct. 29. Tickets start at $39.99. 454 Charles Bancroft Highway, Litchfield, New Hampshire. Enjoy an evening of spooky tales and haunted activities inside the centuries-old Gore Mansion in Waltham. Adult tickets are $15. Members and children 12 and under are $10. Friday Oct. 20 and Friday Oct. 27 at 7 p.m. and 8:15 p.m. Gore Mansion, 52 Gore Place, Waltham. Looking for some low-key, non-spooky fun? Grab your family and take your costumes to the ice tonight at the Jim Roche Community Ice Arena in West Roxbury where Halloween is the theme. Enjoy raffles, prizes and giveaways. Admission is $5, skate rentals are $5. Jim Roche Community Ice Arena, 1275 VFW Parkway, West Roxbury. On the weekend before Halloween he Back Bay Chocolate Tour takes on a Halloween theme Saturday, Oct. 28 with a special costumed addition as you creep your way through the Back Bay neighborhood. Costumes aren’t required, but are encouraged (we hear if you wear a costume you will be rewarded with extra treats and have the chance to win a grand prize for best costume). $50 10:15 a.m. to 1 p.m., 10 Huntington Ave., Boston. Later in the day, enjoy the same themed tour in Boston’s South End from 2-4:30 p.m.
Head on over to The Lawn on D for its last special family event of the season – Pumpkin Palooza on Saturday, Oct. 28. Enjoy Halloween-themed activities for all ages, live music, costume contest, pumpkin carvings, train rides and more. Noon to 8 p.m., The Lawn on D, 420 D St., Boston. Grab the family to trick-or-treat among the animals along Franklin Park Zoo’s Trick-or-Treat Trail Saturday, Oct. 28 and Sunday, Oct. 29l. Haunted happenings include: creepy crafts, ghoulish games, costume contests, a haunted maze and more. General admission for adults is $19.95, $16.95 for seniors, $13.95 for children ages 2 to 12 and children under 2 are free. This event is rain or shine. 11 a.m. to 3 p.m., Franklin Park Zoo, One Franklin Park Road, Boston. The final SoWa Open Market of the season closes with Boston’s biggest Halloween Party on Saturday and Sunday Oct. 28 and 29. Enjoy pumpkin painting, face painting, magic shows, spooky cupcake decorating and the SoWa costume contest (complete with prizes in several categories) and more. 10 a.m. to 4 p.m., 530 Harrison Ave., Boston. 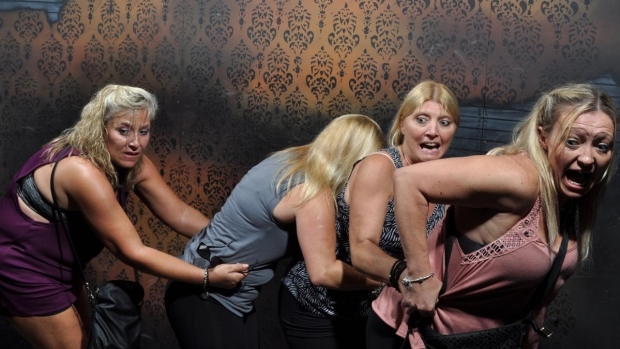 With 42-foot monsters, hundreds of lighted pumpkins, movie quality sets and more, it’s no wonder DeMeritt Hill Farm’s Haunted Overload was ranked the #1 Scariest Haunted Attraction in America in 2015 by Hauntworld.com and is one of the top haunted attractions in the world. With daylight haunts suitable for the entire family and nighttime haunts so scary parental discretion is advised, the Haunted Overload is not to be missed. Tickets are $5-$15 per person. Select dates in October. DeMeritt Hill Farm, 20 Orchard Way, Lee, New Hampshire. Ghost Ship Harbor takes over the USS Salem every fall and turns it into an immersive, one-of-a-kind haunted attraction. Enjoy food, an entertainment area serving beer and wine, tarot card reading, midway games, virtual reality experience and more. There’s the haunted house, the Paranoia Experience and Fear No Evil (all new for 2017). Select nights in October. Tickets start at $29.99. USS Salem, 739 Washington St., Quincy. Located at the Harnden Tavern in Wilmington, roam the historic building and grounds now knowing what’s lurking and waiting for you around every corner. Friends Productions promises this year there are more gruesome actors and surprises than ever before. Select nights in October. 6:30-9:30 p.m., Harnden Tavern, Wilmington.